The Verona Couture bridal boutique in Olney, Milton Keynes, offers a stunning range of wedding dresses. We welcome you to visit our shop to try on our range of designer dresses from Stella York and Mon Cheri Bridals. 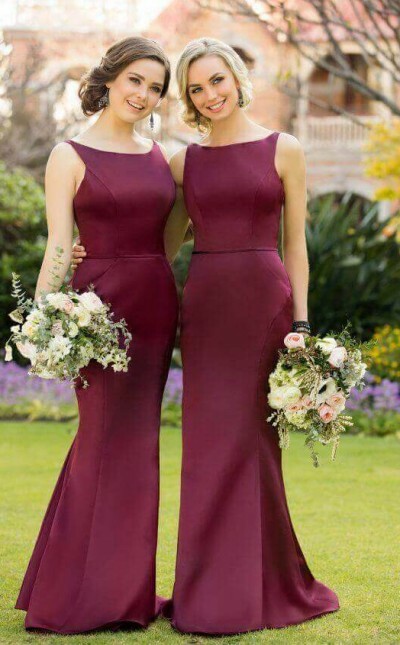 If you’re looking for bridesmaid dresses take a look at our beautiful Sorella Vita range. At Verona Couture, we offer an array of services including first-class exclusive designer wedding dresses from Stella York and Mon Cheri Bridals, as well as a great range of bridesmaid dresses from Sorella Vita. To accompany these dresses we also have a stunning range of fully customizable accessories, including veils, tiaras and shrugs from award-winning headdress designer, Richard Designs. If our designer dresses aren’t for you, we also offer a bespoke dressmaking service, giving you the opportunity to design your dream wedding dress. As dressmakers by trade, we also complete all of your alterations in store to an impeccable standard, ensuring you feel your absolute best walking down the aisle. If you can’t find that dream dress that you’ve already designed in your mind, why not have it made bespoke? Verona Couture was created to offer unique, high-quality garments for those special occasions. We specialise in bridal wear, offering our brides-to-be the chance to design their own, unique wedding dress for their special day. Your couture wedding dress will be made to your exact size, so you won’t have any hidden alteration charges. Over the years, we have welcomed many brides-to-be through our doors and are easily located for those in Northampton, Olney or the wider Milton Keynes area. For more information on our range of dresses and services, please contact us on 01234 714401. Alternatively, use our online booking form to make an appointment.